Good afternoon folks! I put it to Instagram there the other day to see if this was something you guys would be interested in reading about and cheers to the hell yes! It feels like quite a natural step from being a chef/scientist and being interested in natural beauty and skincare that at some point I would start making my own products. So far I've conquered - bronzer, dry shampoo, eyebrow gel and toothpaste (though I wasn't a fan of the toothpaste) and this week I think my favourite success has been...tah dah! Lip balm (and by extension other kinds of balms as well). 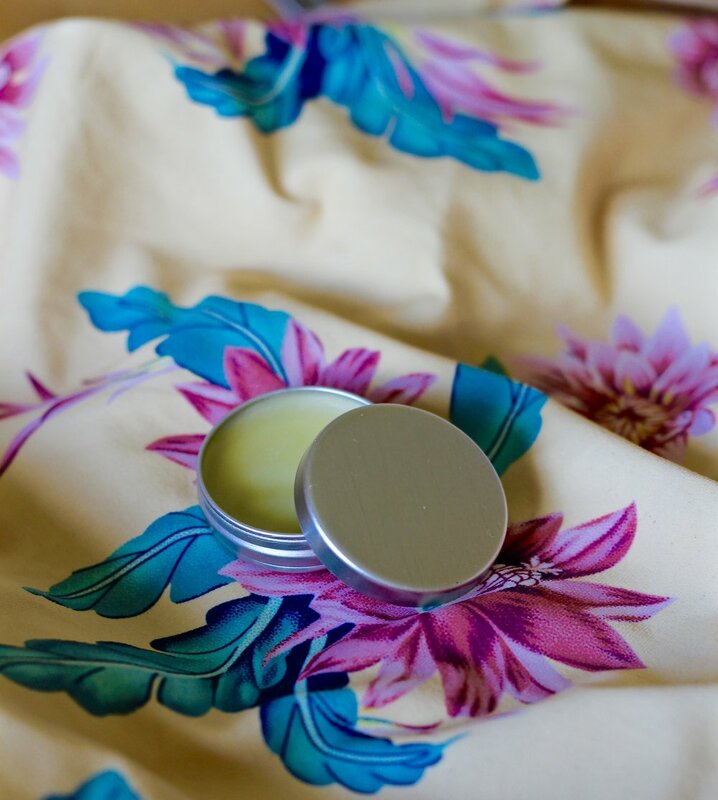 So here is a recipe for an ABSOLUTELY DELICIOUS, nourishing and moisturising Jaffa-Cake flavoured lip balm as well as a Lavender Calming Balm that you can use for helping you sleep, or apply in times of stress - e.g. flying, studying or filing your taxes! The recipe below is a "base' and then you add essential oils to boost the balm - orange blossom for the lip balm and lavender for the calming balm. I made a little "batch" in a cup and then split the balm mix between two different containers - you add the essential oils last before the balm sets. You'll need - little containers for your finished product - I used a little lip balm sampler and a Heinz mayo mini jar for my lavender balm, a microwave, a cup to melt the ingredients, a metal spoon. A drop or two of your chosen essential oil - I used an orange one and a lavender, but you can experiment with your own favourite flavours. Always best to get the highest quality essential oils you can find since what goes on your skin (and especially on your lips!) is absorbed into your body. Again I just asked for some advice at the healthfood store. Such an easy recipe guys - simply place the coconut oil, cocoa butter and beeswax in a microwave proof cup and pop it in the microwave for a minute or so (take out ever 30 sec to stir and see that its melting, the beeswax will be the slowest to melt). If you dont like using a microwave you could also do this over a bain marie as you would if you were melting chocolate. Once all your ingredients are melted and mixed with the spoon, pop the spoon in the fridge. When you take it out after a few minutes the balm is set. 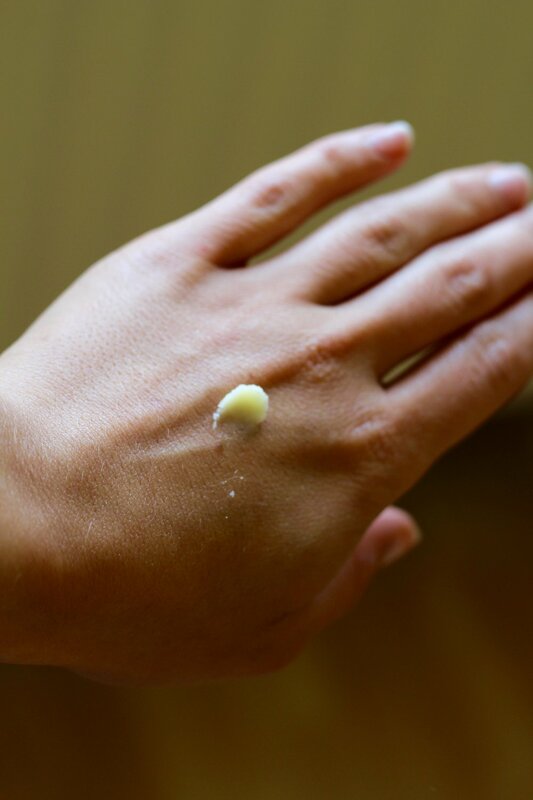 Rub it against your skin to see that it melts - you can play around with the ratio of beeswax to coconut oil for a more solid vs softer consistency - as the weather has been quite warm in Ireland lately this recipe should stay fairly solid at room temperature, but still melt when applied to warm skin. Finally I divided the balm mixture between my two containers, added my essential oils (just a drop or two each to each container), mixed them and then popped the lids on and popped them in the fridge. They set in about 20 minutes or less. As these are completely natural products they may not have as long a shelf life as conventional cosmetics (though you can add vitamin E oil to further preserve them) thats why I make them in small batches that will be used up in a month or less! What are your favourite lip balm flavours? Would you give this recipe a go? I think my next go will be a berry flavoured tinted balm!